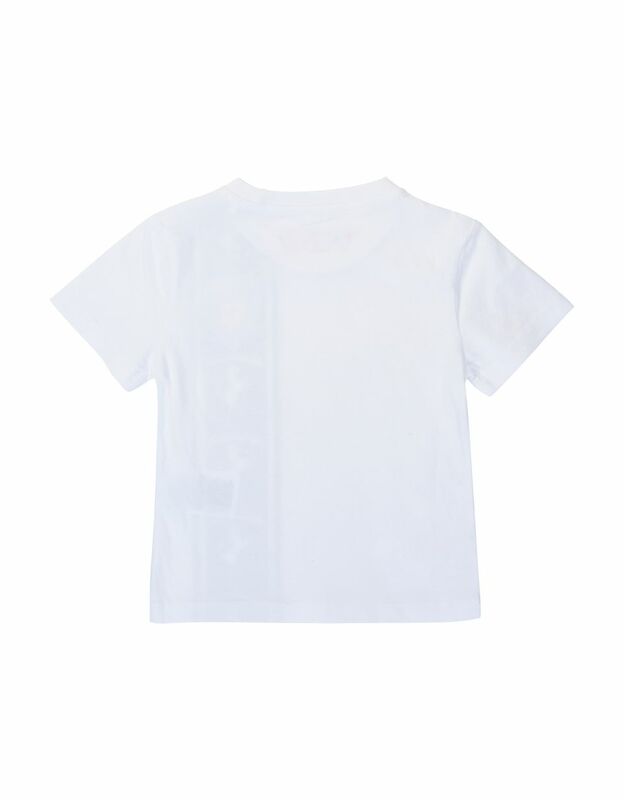 This T-shirt for teens is distinguished by an original vertical rubberized print. 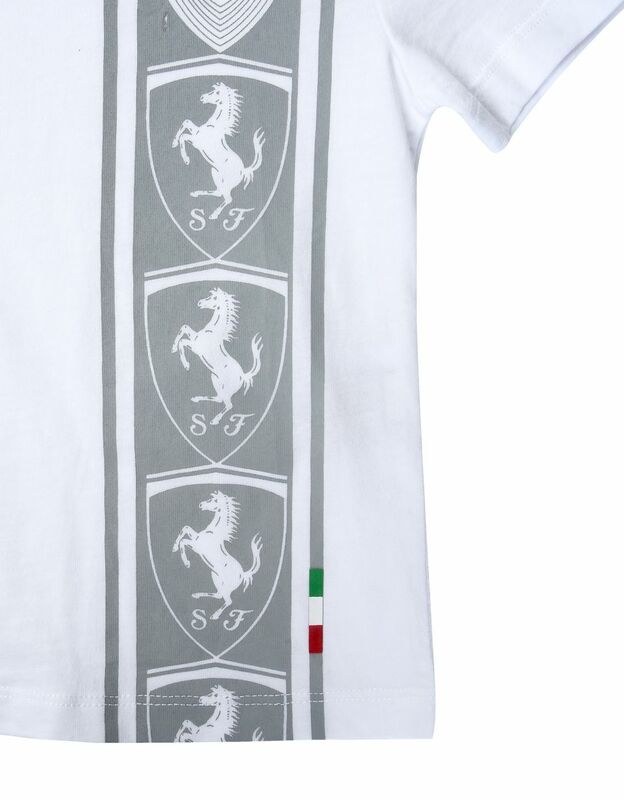 This classic short-sleeve T-shirt for teens, featuring unique details, is bound to become an iconic piece for Spring/Summer 2018. 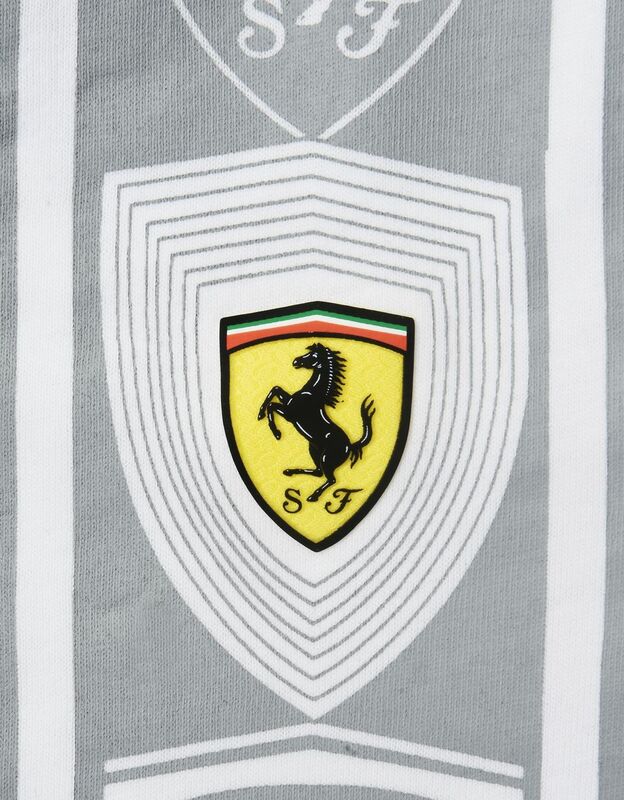 Adorned with a special tone-on-tone rubberized print on the front that repeats the Scuderia Ferrari logo infinitely, the Scuderia Ferrari T-shirt is also personalized with the iconic yellow Shield on the chest. 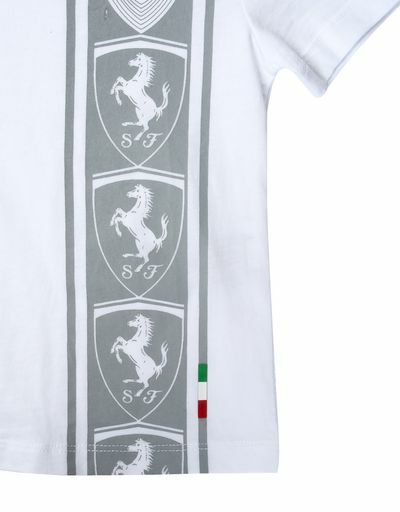 The background is embellished by an Italian flag print. 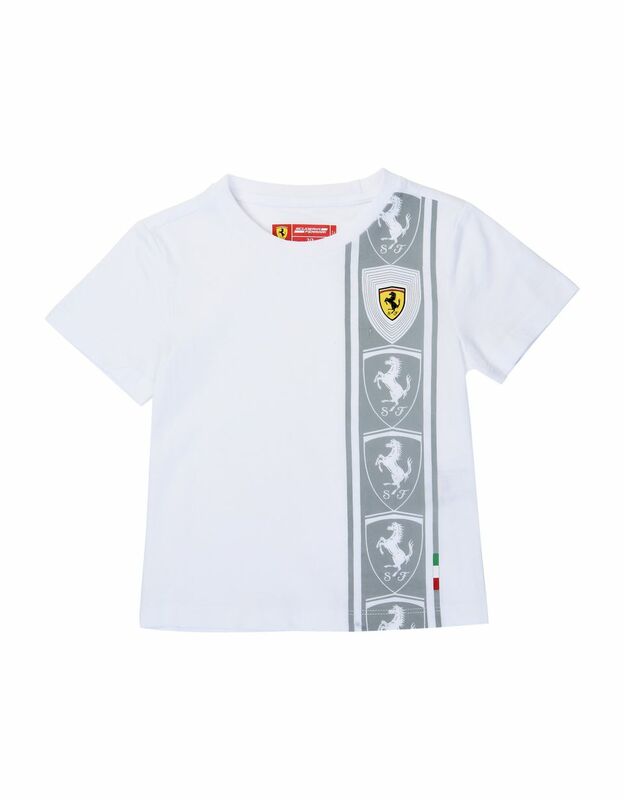 It is meant to be paired with jeans or cotton pants.